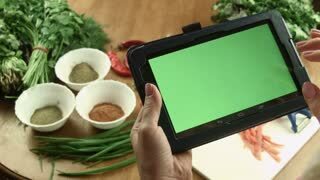 Couple with tablet cooking. 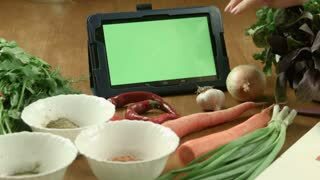 Woman and man, vegetables. Find recipes in the internet.